James plays a high school biology teacher desperately seeking to raise money to prevent extra-curricular activities from being axed at his cash-strapped school. He decides to take his talents to the cage and work his way up the mixed martial arts ranks to generate the funds. MMA icon Bas Rutten plays James’ trainer. Joe Rogan, Jason “Mayhem” Miller and Krzysztof Soszynski also make appearances in the flick. As if you needed another reason to watch the movie, the I’m-getting-sexier-by-the-day Salma Hayek serves as James’ co-star. 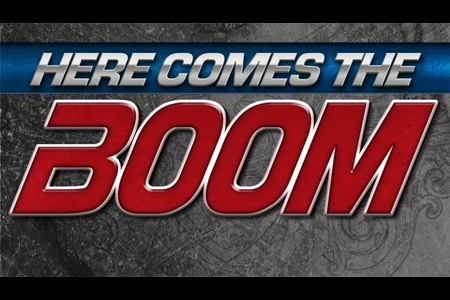 “Here Comes the Boom” hits the big screen nationwide this October 12th.